Roll Out the Barrels photo by Barry Goyette, courtesy SLO Wine Country. 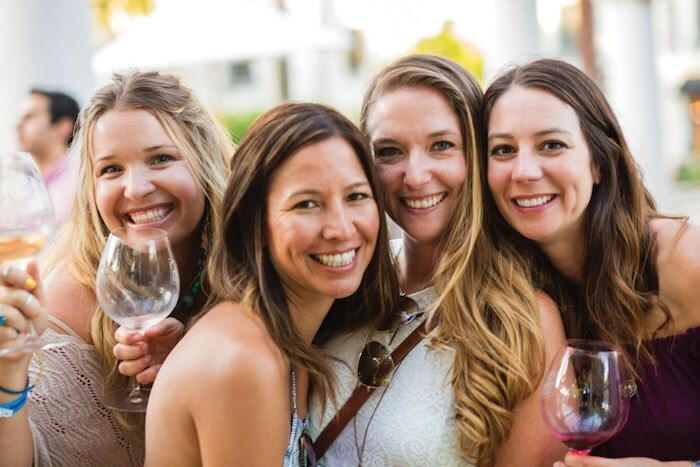 ONE OF SAN LUIS OBISPO’S WINE COUNTRY’S most exciting summer events kicks off June 21-23 with the 28th Annual Roll Out the Barrels Weekend. The festivities begin on Thursday at Barrels in the Plaza, when more than 50 wineries and local chefs gather for a street party and grand tasting adjacent to the historic Mission in downtown San Luis Obispo. Sip and savor and tap your toes to live music by The Cimo Brothers! Then watch a special demonstration of the art of the barrel by expert cooper Salvador Canchola, who shows the audience the timeless craft of building, shaping and toasting a wine barrel using three-year seasoned oak harvested from the region of Allier in Central France. On Friday and Saturday guests can wind their way through SLO County with a special Passport to Wine Country. With 15 wineries to choose from, guests can walk the vineyards, barrel sample the new vintages, and enjoy open houses, wine tastings and festivities all weekend long. For more information or to purchase tickets, visit slowine.com. This story was originally published in the 2018 summer issue of Santa Barbara Seasons Magazine.